At the 10,000K mark, with just 6K left to finish the ride. 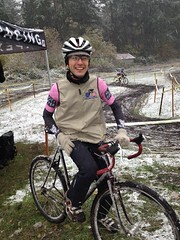 After finishing up the last ride needed to qualify for a K-Hound award, I posted the above photo online. 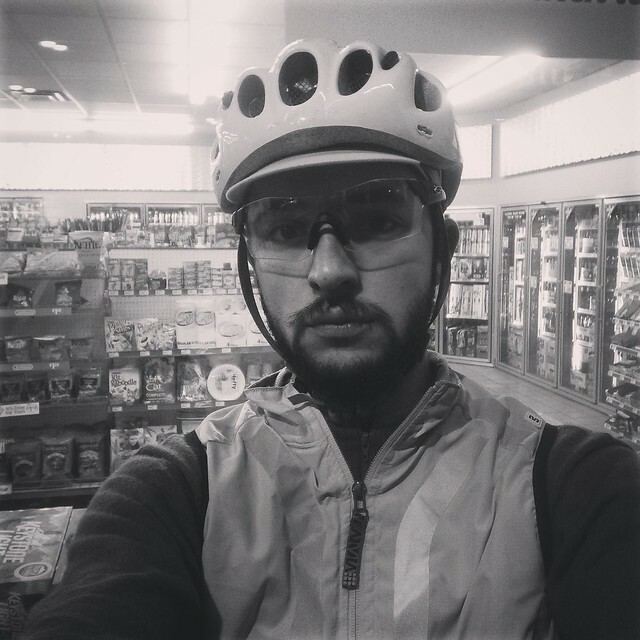 My friend Joshua Anderson replied, “A lot of time in convenience stores in bike clothing at strange hours.” Yeah, that’s rando! The K-Hound award was born in Texas, where they like things big and 10,000K of randonneuring in one year sounds like fun. In the years since, it has spread around the country, and was officially adopted by RUSA. So, how far is 10,000K? If you’re at the equator, it’s approximately 1/4 of the way around the world. From Portland, Oregon (ignoring oceans and actual infrastructure) you could get to Dakar, Senegal; Istanbul, Turkey; Nantou City, Taiwan, or the village of Pozo Hondo in Argentina. I mostly rode in little circles around Washington and Oregon and ended up right back where I started. Adding up all of my rando ride times, including off-bike time during the events, I can see that it took 567 hours and 45 minutes. But this does not include travel time to/from events, or time spent volunteering on rides (such as the day I spent at a secret control on the Olympia 300K, or the several days spent following the Volcanic Arc 1000K riders in Rick Blacker’s car), so my overall rando-commitment for the year is higher… in the realm of 700 hours. I rode 40 rides, accounting for most of the weekends in the year. 28 of these rides were permanents, accounting for 4706K. The other 12 rides (brevets, a flèche, and a 1200K) account for 5300K. Don’t feel like the Lone Ranger, my 10,0000 day ended up in the rain and there were no other cyclists anywhere… I have always ridden alone, so am used to it. It does take a lot of time and expense to earn these, but keep your goals in sight and be ready to adjust. I don’t know that I’ll pursue the K-Hound again any time soon. There are other goals that I’d like to achieve: PBP 2015, the Cyclos Montagnards R60 Honors, and an SR600 all come to mind. But I’m glad I did it and I’m proud to be in such good company*. 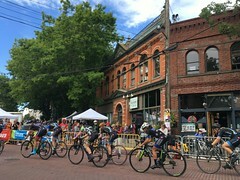 *At the time of writing, results were still pending for two riders, but it looks like 13 Seattle Randonneurs K-Hounded in 2014. Congratulations, y’all!